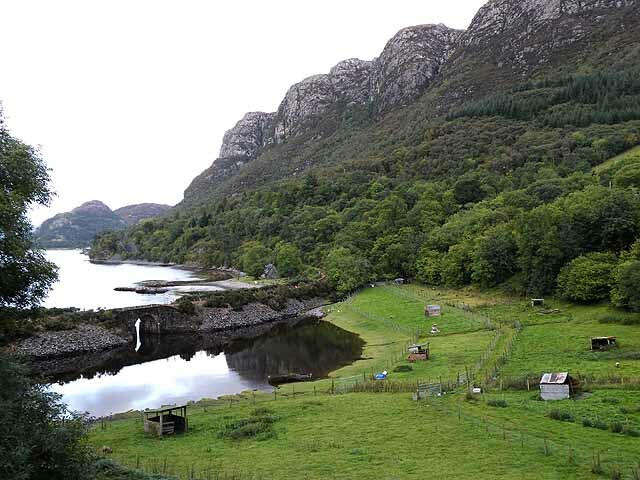 Craig Highland Farm Link is a conservation farm dedicated to preserving rare breeds of animals and fowls situated a short way east of Plockton overlooking Loch Carron. The farm also provides self-catering and bed and breakfast accommodation. To the east the impressive crags of Creag an Duilisg dominate the skyline. An embankment cutting off a small embayment of the loch carries the Kyle of Lochalsh railway line.